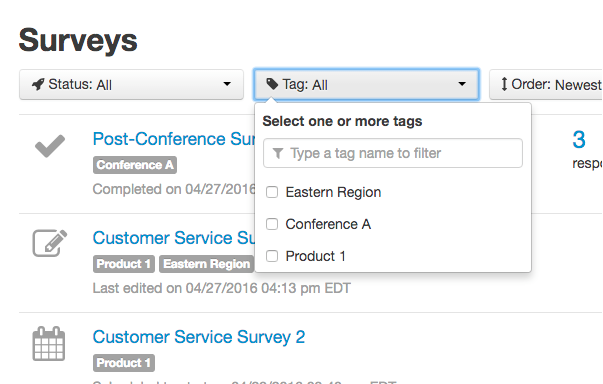 Tags are an organizational tool that allow you group together surveys. 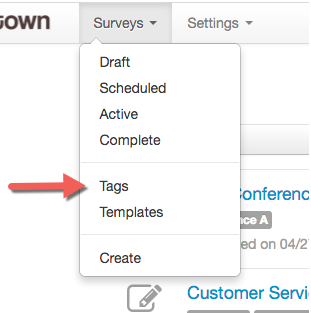 Tags are similar to folders in that they allow you to group surveys together, but tags have an advantage in that you can apply several tags to any particular survey. This makes tags more flexible than folders. How do I manage my tag? You can find tags underneath the Surveys tab or under the "Properties" tab of a Survey. From the Manage Tags page you care edit, view, delete or create tags. 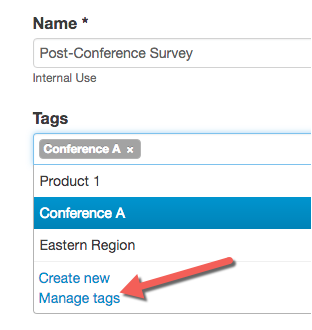 From the manage tag interface you can hit the "Create Tag" button. From there you just write in your tag name. How do I apply a tag to a survey? 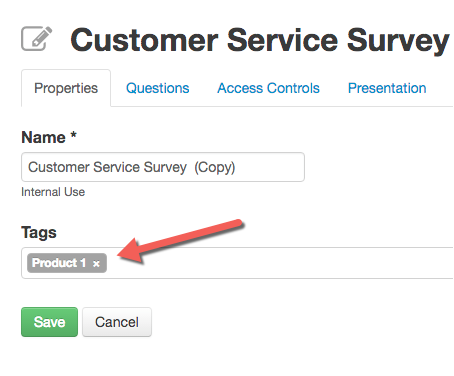 Under the properties tab of a survey, you can add tags to a survey which you can then use to sort and find surveys. 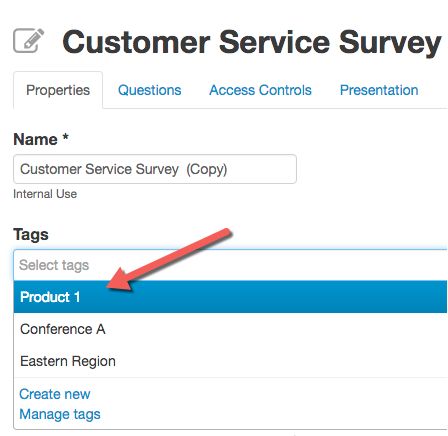 In this screenshot, the example tag "Product 1" is being applied to Customer Service Survey. Once applied the tag with show inside the tag text box. You can select multiple tags for a survey as well. Tags that have been applied to surveys will show up underneath survey name. 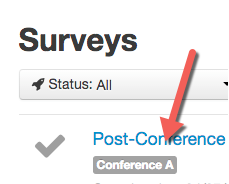 You can then search surveys that have been tagged in a certain with using the "Tag" dropdown.